· Dedicating ourselves to our client from A to Z. We study the applications, manufacture products and monitor their operation to ensure that the optimum solution has been identified. · Creating effective relationships. Since foundation until today, Marti Sala, S.A. is characterised by its close cooperation with its customers beyond the initial project-stage, allowing us to have long term business relationships. · This gives our customers confidence and peace of mind when they leave their problems in our hands. They can always count on us. 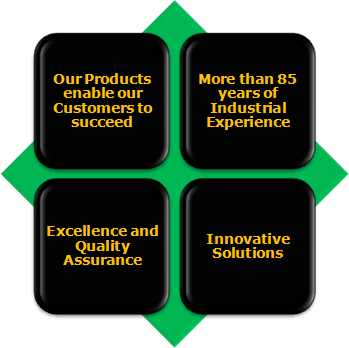 · Offering tailored solutions to our customers. We give the same importance to the parts that our customers give them, whether it is a single piece or a series of parts, or maintenance service.